Luigi Pirandello 1867 – 1936 was an Itaoian dramatist, novelist, poet and short story writer. He was awarded the 1934 Nobel Prize in Literature for his ‘bold and brilliant renovation of the drama and the stage" shortly before he dies at the age of 69. Among others he has written about 40 plays and his plays are often seen as the forrunners of the Absurd Theatre. 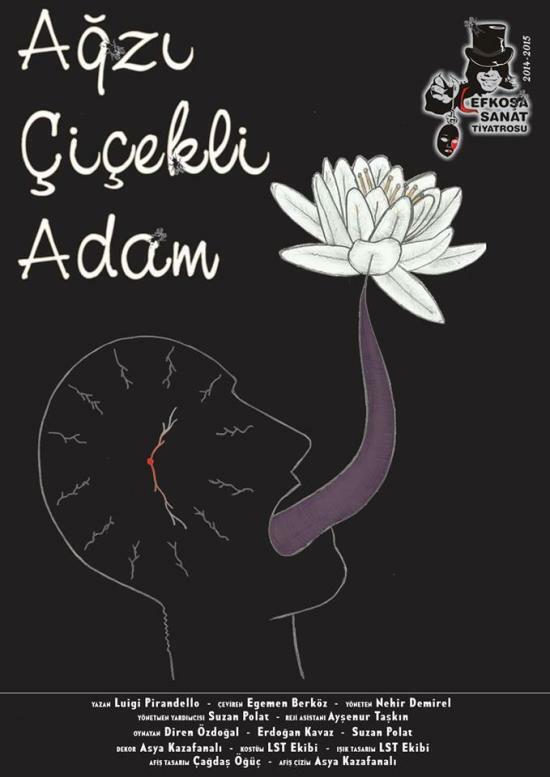 Nehir Demirel is directing the play Agzi Cicekli Adam / L’Uomo dal fiore in boca/The Man with the Flower in His Mouth, translated into Turkish by Egemen Berköz. Cast: Asya Kazafanali, Erdogan Kavaz and Suzan Polat. The play is on every Wednesday until 28 January at 20.30 hrs.